How Do I Get My Cat to Be More Active? If you have a lazy cat, I bet you’ve asked yourself that quite a few times! While some cats are energetic by nature, others have what I call the Garfield complex. They like to laze around all day, moving only to use the litter box and groom themselves! So, today we’re going to talk about six ways to stimulate your cat to move around. It’s a well-known fact that cats often spend the better part of their day sleeping and napping in ridiculous positions. Nevertheless, they still need exercise to stay healthy. Outdoor cats would often nap during the day, patrol their territory, meet with fellow cats, and hunt, among other things. However, indoor cats don’t have the same opportunities, so when they are bored, they prefer to sleep. Unfortunately, inactivity leads to weight gain, which is a risk factor for diabetes in cats. 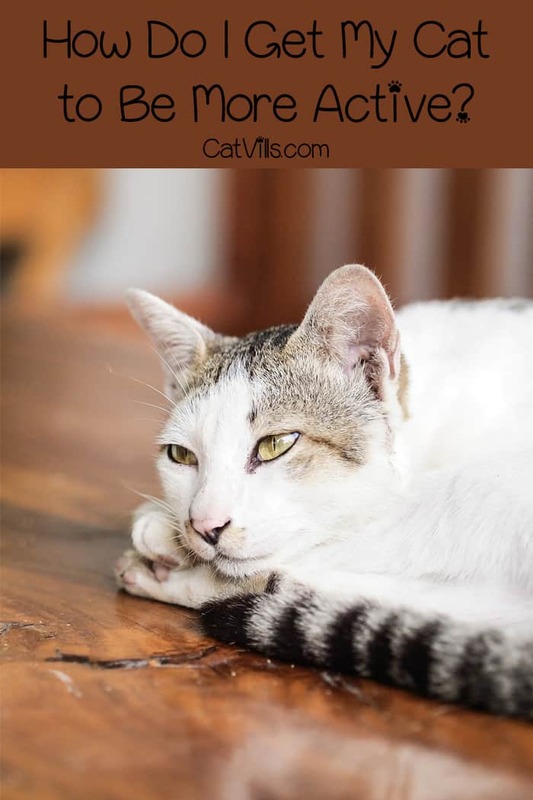 So, if your cat is a lazy one, here are some suggestions on how to get it to be more active. my mom and @em_russell made me these adorable catnip toys this weekend! my favorite thing to do is bring all my toys into bed with me at night, so I can’t wait for my mom to wake up in a pile of these bad boys 😼 the best part is the catnip, which makes me feel great and act like even more of a psycho than usual. In the beginning, I thought that my cat would enjoy all toys. I quickly realized that I was completely wrong. The cat liked the mouse, completely ignored the catnip, and played for a while with the squeaky balls. However, she was in love with the features and the red dot. What I’m trying to say is that cats have preferences. So, you might not have found the right toy for you cat. The other thing is that you have to offer new toys from time to time because a cat will get bored if she has to play with the same one over and over again. Fortunately, nowadays there are plenty of interactive toys specially designed to suit the taste of the most capricious cats. @toddhaug with the full @refinedfeline collection!! Looks amazing! Cats love to climb. My indoor/outdoor cat will often sprint through the garden and climb up the apple tree until she reaches the highest possible branch. An indoor cat doesn’t have access to real trees, but you can change that. Add cat shelves on your walls, several cat trees, and tunnels to create a playground. In this way, you’re going to encourage your cat to jump, climb, and exercise. She will also have a safe place to hide from other pets or children when they are bothering her too much. It’s also an excellent idea to add a scratching post if you don’t have one already. It’s true that a cat prefers to sharpen her claws on the couch, but it’s worth the time to teach her how to use the scratching post. Some cats are not going to play with toys if you’re not around to engage them. So, one of the ways to make your cat more active is to spend time playing with her. I’m going to surprise some of you by saying that you can stimulate your cat by playing her some YouTube videos. If you’re still not satisfied with the level of activity of your feline, you can get another kitty to keep your cat company. It will take time for the two cats to get used to one another, but it’s an excellent solution for dealing with lazy cats. The more active one will initiate the playing sessions and will force the lazy one to move around. What’s more, when you have two cats they won’t be so bored when you leave them during the day. What kind of food do you feed your cat? Some brands are low-quality and don’t contain the necessary ingredients to keep your cat healthy. 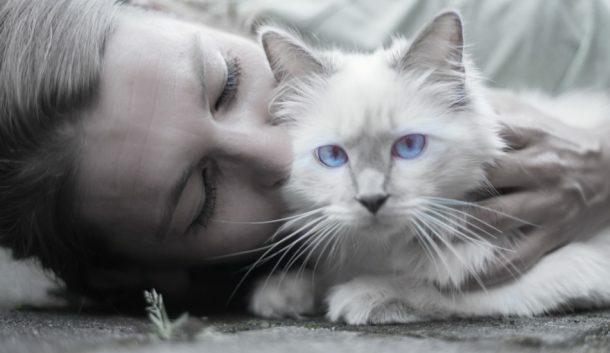 As a result, your cat might not get all the nutrients she needs to be active. The best cat foods are grain-free and list meat as the main ingredient, not meat byproducts. So, read the labels carefully or take a look at this list of the best dry food for cats. A lazy cat is not always a problem. However, if you notice that your ball of fur has gained a significant weight, it might be time to switch to better food and engage Taby in more activities. Also, speak with your vet because the cat might be ill or in pain. What do you think about these tips on how to get a cat to be more active? Have you got anything to add to the list? Then don’t hesitate to leave a comment! I have never seen a lazy cat. I have 9 stray cats who are not interested in staying at home and just comes to eat at my house and they are hyperactive. But this is a really cool thing to know.